For this tutorial I’m using the facing of my Meringue skirt that I’m making for the Colette Sew-along, which is an open facing. You can of course use this exact same technique for finishing closed facings, but have a look at some of the tutorials out there (or the Colette Sewing Handbook, if you have it) for the neatest ways to close off your circle. The instructions for the Sorbetto Top feature a nice way to do it. Your facing pieces (or other pieces that need binding). Make sure they’re assembled and the seams are all finished. Pins, an iron, a sewing machine. 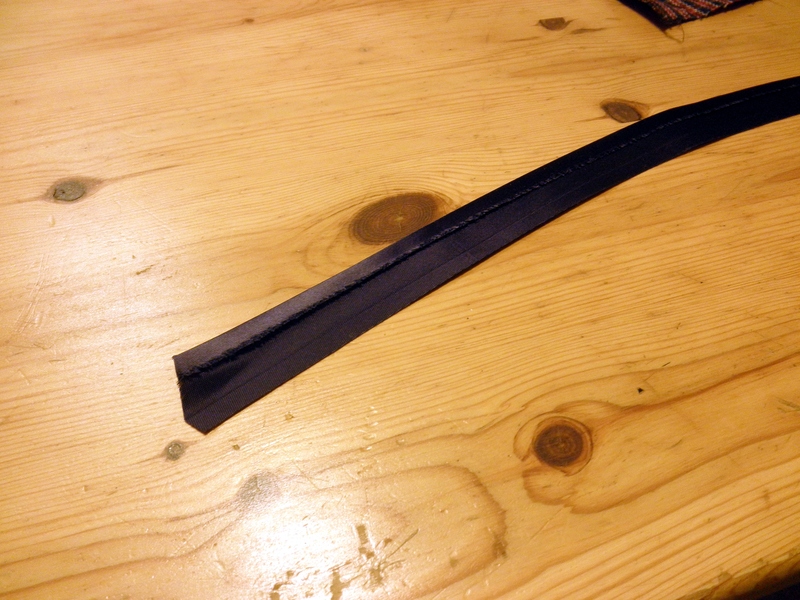 Start by pressing out one of the folds of your bias tape. If you are using double fold bias tape, only press out one of the side folds. Keep the center fold, because that will make things even easier along the way. Pin the folded edge of your bias tape to the right side of your fabric, aligning the edge of the tape with the edge of your fabric. Stitch the bias tape and fabric together, stitching exactly in the fold line of the bias tape. (Please excuse the lack of photos for this bit. My ironing board is in the darkest corner of my room, and not very photo-friendly.) After you’ve stitched, press the bias tape towards the edge of the fabric. 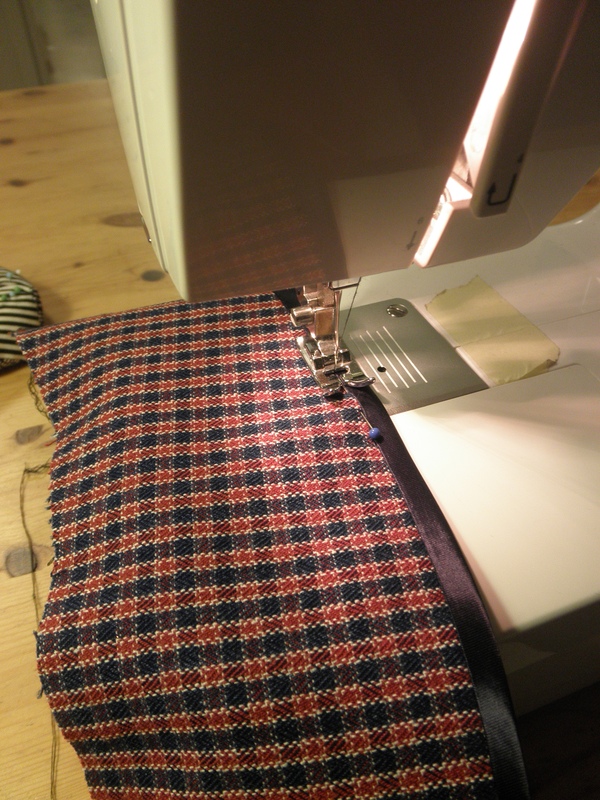 Then, fold it over the raw edge of your fabric, towards the wrong side of your fabric and press it down. 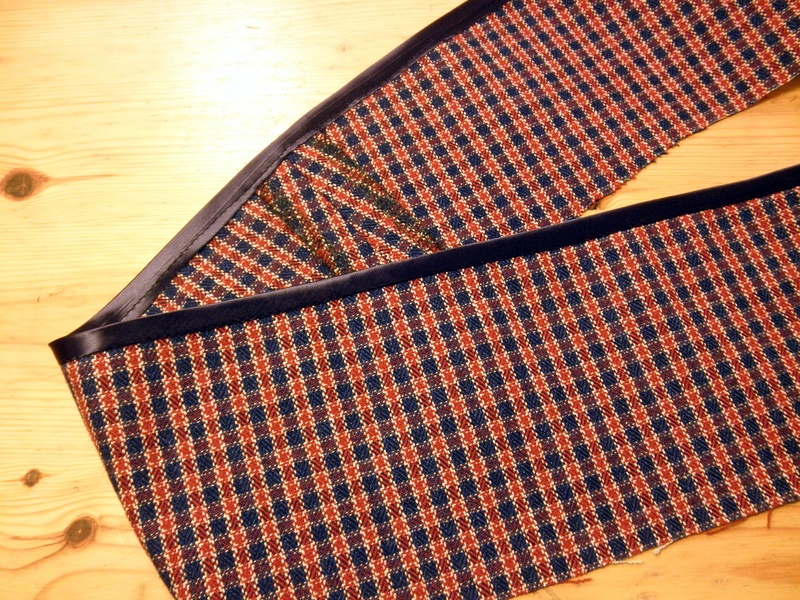 In by far most cases you won’t need to trim your seam, but if the edge of your bias tape does not cover the stitching line on the wrong side, narrow your seam by a few millimeters and try again. 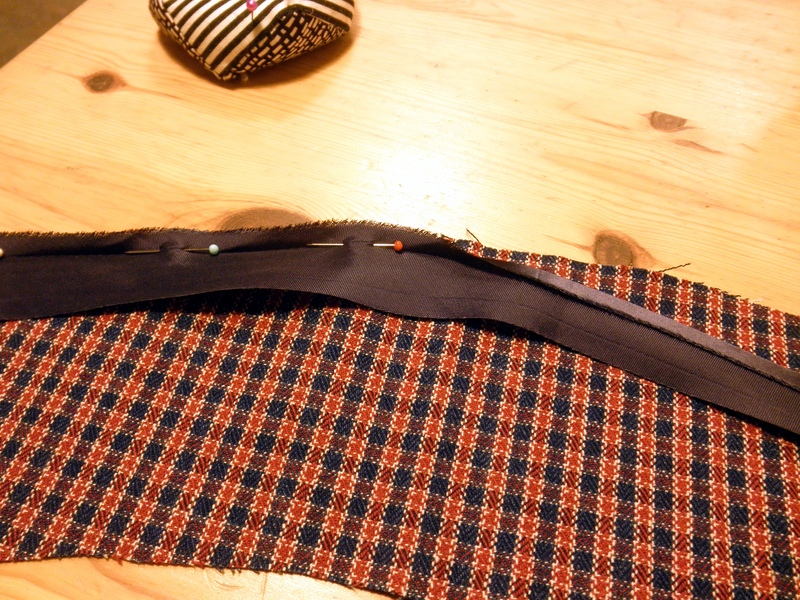 With the right side up, pin the bias tape down in the seam. Make sure that you’ve caught it everywhere on the wrong side. Stitch in the ditch, and admire your beautifully finished facing.